It’s been a smashing season for the Sydney Sixers so far this year! 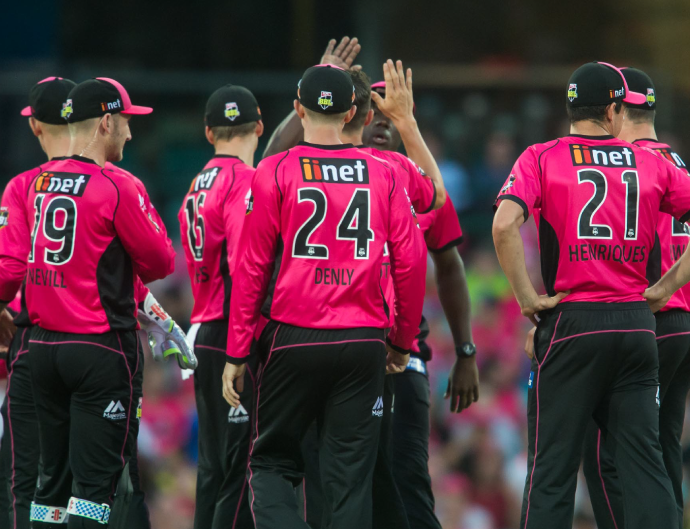 There’s only a few weeks left in the BBL08 season, so we thought we’d take a look over everything that happened in our sixth year as proud Principal Partners of the Sydney Sixers! We’re excited to announce that in addition to a long-standing partnership with the Sixers BBL team, this year was the first year iiNet became an Official Partner of the reigning WBBL champions – the Sixers WBBL team! The iiNet TV ad celebrating 25 years of awesome customer service has been hitting your screens with a crickety twist. Can you spot the changes it’s sporting? Each season of the Sydney Smash sees the Sydney Sixers go head to head with the Sydney Thunder. The Sixers WBBL team came out with a 36-run victory against the local rivals while the Sixers BBL team fell 21 runs short in their match. Sixers WBBL team hits 5 wins in a row! One highlights of the season took place on the 23rd of December when the Sixers came up against Brisbane Heat. Ellyse Perry led the Sixers to an 11-run win with an incredible 103 runs from just 64 balls – her second century this season from just six innings! Sixers Biggest Fans stand up! Throughout the season, as proud Principal Partners of the Sydney Sixers, we ran a number of competitions for the Sixers’ biggest fans out there to get behind their favourite magenta team! We started the season with a ’Season Teaser’ merchandise and ticket giveaway to the Sixers vs Renegades game on the 16th of January at the SCG, followed by the opportunity to do the bat toss at the Sixers vs Stars game on December 27th. Over the holiday period, we offered the chance for four Sixers’ fans and four of their mates to win a net session with some of the Sixers’ players, and to wrap up the season we gave away five pairs of tickets to the Sixers vs Thunder game on the 2nd of Feb at the SCG. Don’t miss the finals! Tune in to the rest of the BBL08 season where the Sixers BBL team is currently placed 2nd on the ladder, and check out the Sixers WBBL team as they head into the final decider for top of the ladder against the Brisbane Heat on Saturday 26th January at 10.10am (AEST).